(MoneyWatch) McDonald's (MCD) said Thursday that it will start offering vegetables, fruit and side salads as substitutes for french fries in its value meals, a concession to people's changing eating habits. The fast food giant, in partnership with the Alliance for a Healthier Generation, a group founded by the Clinton Foundation and the American Heart Association, also announced changes to how it markets its products to children. Among these changes, McDonald's will promote and market only water, milk and juice as beverage options in its Happy Meals. The company also will design its Happy Meal packaging to emphasize themes related healthy eating, children's well being and what the company calls "fun nutrition." Burger King's "Satisfries": A healthier alternative? McDonald's CEO Don Thompson unveiled the changes today in New York during the Clinton Global Initiative's annual meeting. "This commitment reflects McDonald's progress regarding nutrition and well-being," said Thompson, in a prepared statement. 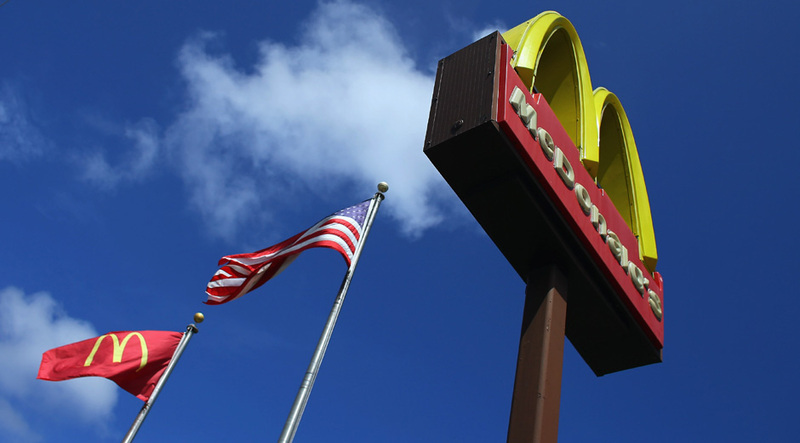 McDonald's did not disclose exactly when it will add healthier fare to its value meals. It said only that the new program will roll out in 20 countries, including the U.S., over the next few years. The company expects to have implemented the changes across all 20 markets by 2020. "We've seen voluntary agreements with industry have profound impact -- including our work with the beverage industry to limit the amount of calories shipped to schools," said President Clinton, in a statement distributed by McDonald's. "Those agreements resulted in a 90 percent reduction in total beverage calories shipped to schools between 2004 and 2010. If we want to curb the catastrophic economic and health implications of obesity across the world, we need more companies to follow McDonald's lead and to step up to the plate and make meaningful changes." Concern for children's health isn't the only reason McDonald's is adding more nutritious food to the menu. The company's sales are lagging, with negative growth in the first six months of the year in Europe and Asia, and only weak growth in the U.S. Global sales are up only 0.4 percent so far in 2013. Giving more health-conscious consumers different menu options could help lift revenue. The announcement comes in the same week that McDonald's competitor Burger King (BKW) announced it will start offering lower-fat, lower-calorie fries in its restaurants as an alternative to its regular fries. More broadly, fast-food companies have for years gradually reshaped their offerings amid growing public concern about the health effects of their products.